I tried to write a nice sounding post, but the events of which I’m writing about have made me so tired that I sound like a robot. So here we go. Yesterday was a pump site change day. Around 2:00 I felt a little thirsty and was 414. I changed it again and bolused. I left to pick up the kids, but accidentally left my meter at home. We stopped for dinner because there was so much traffic. I ate because I felt better. When we finally got home I was 397. When I was 457 I took a shot, tested ketones (moderate) and changed everything again. When I was 385 at 11:45, I bolused again, but pleased it was at least on it’s way down. 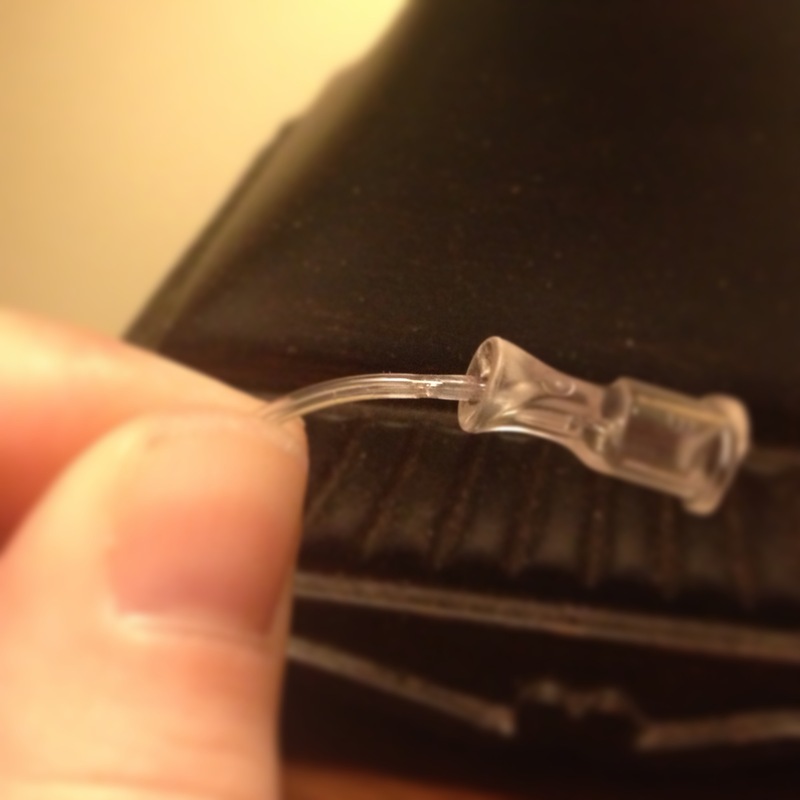 Before bed I was 383, and I was about to change things again when I got dripped on from my pump. After further investigation, I realized there was a crack in the tubing. I called Animas (because clearly 1AM is the time to do this) and they’re sending me new sites. Today I woke up at 167 and I need a coffee IV. No fair! No fair! Crack in the tubing?! The boing-y stretchy tubing? I’m glad you’re feeling better. Enjoy your coffee. Yikes! What an awful feeling. I hope today is much better. That’s crazy! I’ve never seen anything like that. Cracked tubing?? Oh that is annoying!!!! I mean, know things go wrong, insulin goes bad, cannulas kink., but insulin leaking out a crack in the tubing? We should NOT have to worry about that too! !